SINGAPORE - SingTel is the top local company Singapore professionals want to work for, a LinkedIn study of member activities and interactions has found. According to the online professional network, SingTel is the 12th most attractive among local and overseas firms to work for in Singapore, while the top company is IBM. 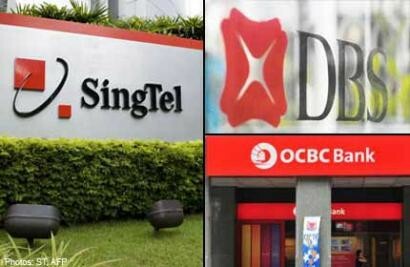 Among the top 20 firms on the Most InDemand Employers list, there are four home-grown firms including SingTel, DBS Bank, NCS Group, and OCBC Bank. Within this list, IBM, Microsoft, and Accenture were the top three most in demand for professionals in Singapore. LinkedIn found that Singapore professionals preferred to work in companies in the Internet and IT industries. Firms in these industries dominated the rankings and took the top spots. The industry of financial services is also popular, with a total of eight banks in the top 20. Within this group, Standard Chartered Bank topped the list, followed by Citi, Barclays Investment Bank, Deutsche Bank and DBS Bank. Of the 20 firms on Singapore's Most InDemand list, only five companies - Microsoft, Accenture, Google, Apple, and Procter & Gamble - overlapped with the global top 20 list released in the fourth quarter of 2012. Singapore professionals seemed to also prefer big firms: None of the companies on Singapore's Top 20 list have less than 8,000 employees each. "It's not a big surprise that IT, Internet and financial services companies dominated the Top 20 list in Singapore as these are key industries here. As the competition for top-tier talent continues to intensify, the need for a compelling employer brand will become more pronounced as companies seek to understand what levers they can wield in order to attract the right talent to fuel their businesses," said Feon Ang, Regional Director, LinkedIn Talent Solutions. "Currently, about 70 per cent of companies on LinkedIn globally rank talent brand as a top priority. If anything, this percentage is set to grow," she added. LinkedIn has found in previous analyses that strong employer brands can halve a company's cost per hire. Companies with stronger employer brands also have a 28 per cent lower turnover rate than companies with weaker employer brands. The list of Top 20 Most InDemand Employers for Singapore was derived by analysing interactions between members, and the more than 1,000 companies on LinkedIn globally that had at least 30 Singapore-based employees who are LinkedIn members. This was then cross-referenced with thousands of survey responses, to pinpoint the specific activities that best indicate familiarity and interest in working for a company.